I’m baaaack!! And it’s only because I saw this awesome guy on the subway this morning. His outfit was cool enough from the front for me to snap some shots, but once I saw the back I was OBSESSED. 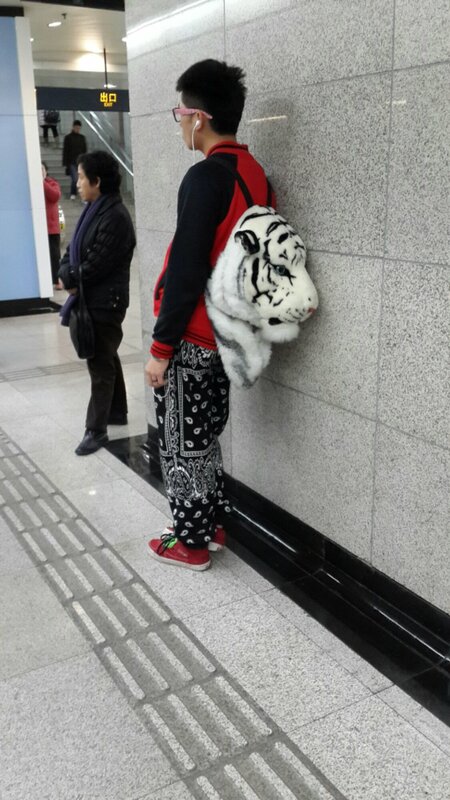 I mean, that backpack is 100% my kind of bag… I know it’s the year of the Horse and all but I’m always down with cats, big and small (ooh that rhymes). 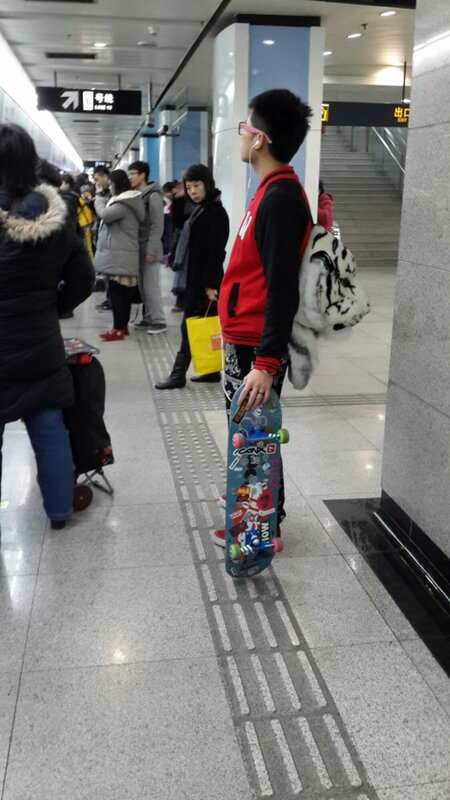 And then I saw he’s a skateboarder, which isn’t really my thing but is still pretty cool (and niche in China). Ever since I got back from the US for the holidays, it’s been hard to find someone really inspiring… I know it’s Winter and winterwear is hardly ever interesting here, but I think this guy has inspired me to get back on track. So hopefully see you all again soon! !